This package is a must-have for the modern-day ninja! 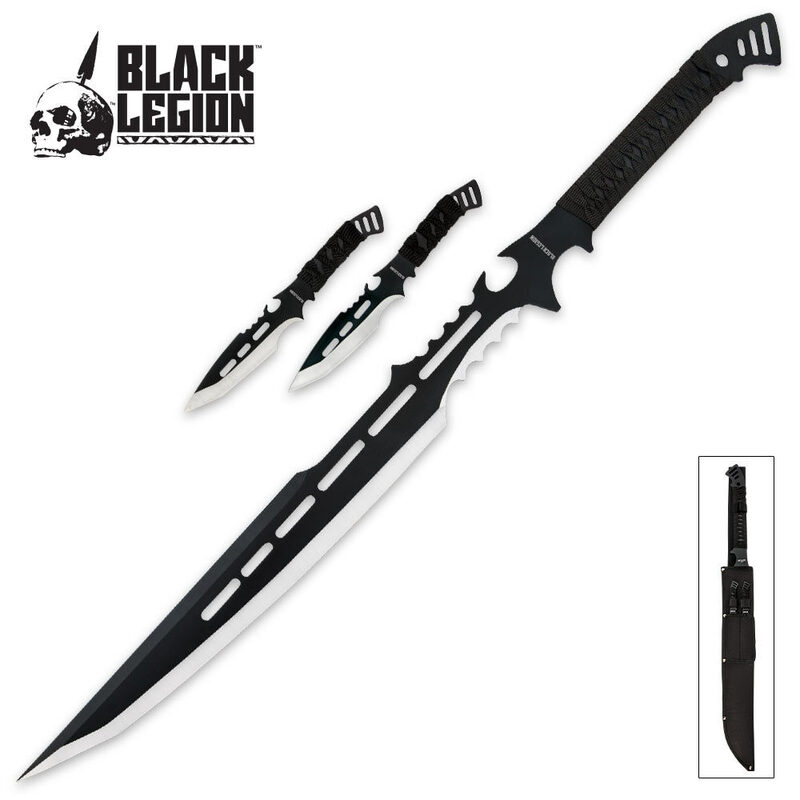 The brand new Ninja Fantasy Sword & Throwing Knife Set from Black Legion is exceptional! The two 6-1/2" throwing knives feature exquisitely detailed designs. 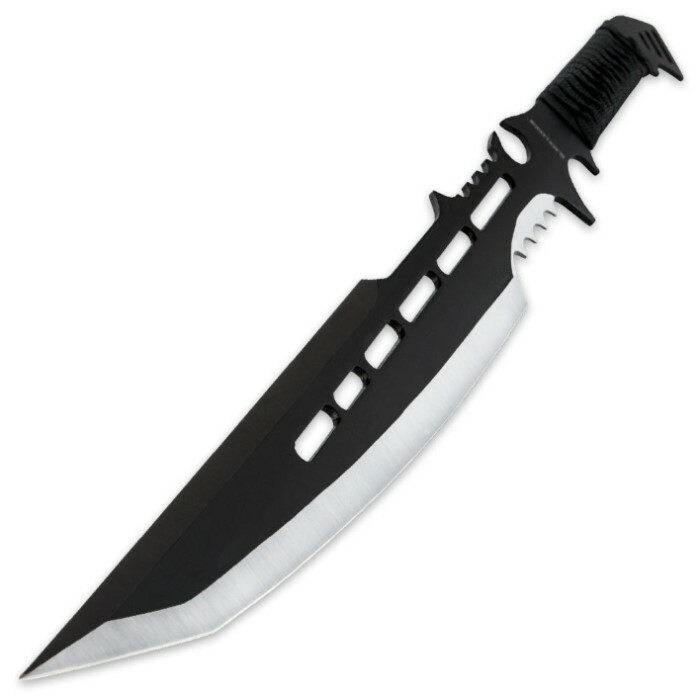 The 27-7/8" ninja sword features a 13-3/4" sharpened edge with an exaggerated tanto point and the fantasy designs match the knives for a cohesive look. The handle is wrapped in cord for a stylish and secure grip. The stainless steel construction has a heat-treated black finish that creates a two-tone appearance. The entire set is housed in a sturdy nylon sheath. The sword was good and sharp. 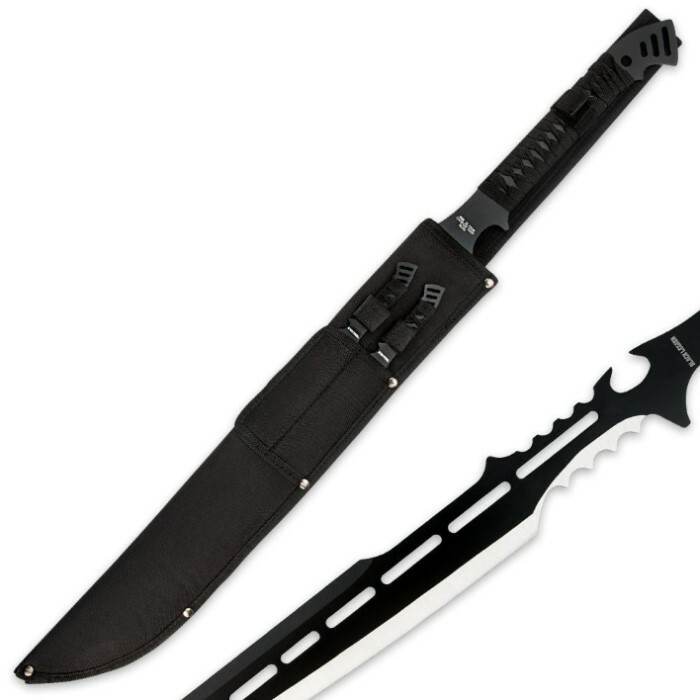 The throwing knives aren't the greatest but the shipping was terrible. Took a lot longer than expected. This set is amazing. The sword is a good size and weight and it is beautiful. The knives, again, catch on the sheath, but they are very nice. Thanks Budk! This is a great sword. The blade is thick and sharp. The handle feels good in your hand. The throwers aren't as sharp, but that is a quick fix. However, the throwers do catch on the nylon sheath, Be careful to not keep snagging the nylon when pulling the throwers out of their storage pockets. I like the look of the sword. It is mean looking. Worth the price.